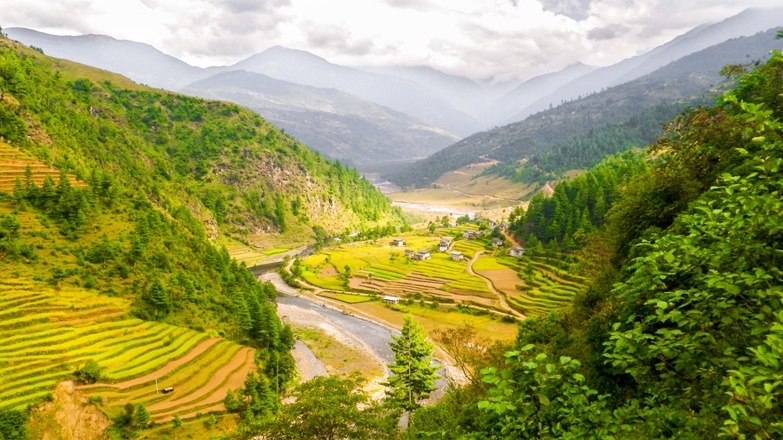 Off the beaten track Nepal - hike from Kathmandu to Lukla before joining the popular Everest Base Camp Trail! There are so many amazing off the beaten track hikes around the world, we’ve decided to ask fellow bloggers to share the best hikes in the world with us! 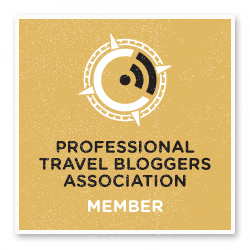 This monster post collects some of the greatest treks on the planet, tried and tested by top travel bloggers! River tracing – swimming and climbing, looks like awesome fun! My all-time favorite hike is river tracing in Taiwan. River tracing is like hiking, but upstream through a river. In addition to hiking upstream, river tracing also involves swimming and rock climbing. 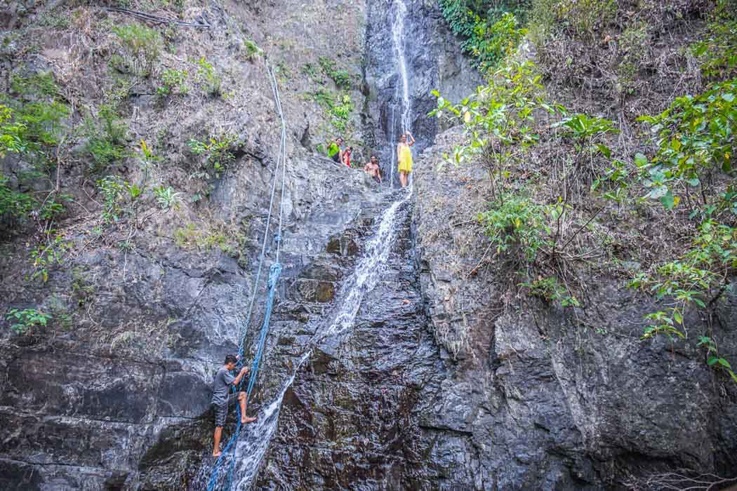 While some river tracing expeditions are simply wading through a river and swimming around, there are many hikes and excursions for the more adventurous. 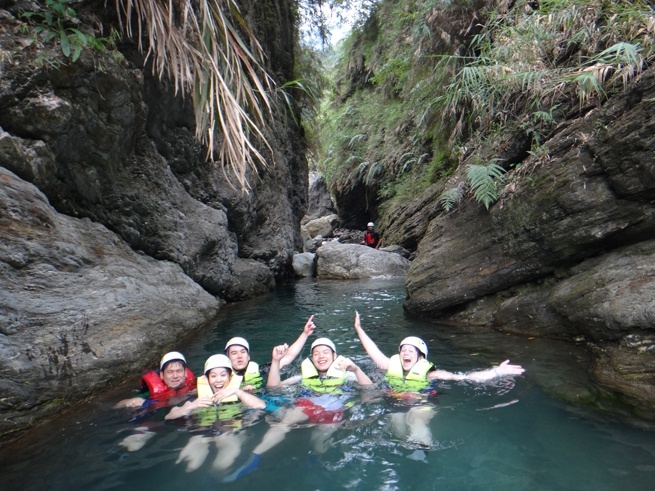 While in Taiwan I went on a river tracing expedition with Hualien Outdoors. In my river tracing excursion we spent the whole afternoon hiking a river near Taroko Gorge in Northeast Taiwan. It was so hot outside, tracing through the cool river felt amazing. The water was so clean you could even drink right out of the waterfalls! While river tracing is fun and exhilarating, it can be a bit dangerous so it’s best to go with a guide. We were required to wear lifejackets, river shoes and helmets to protect ourselves. I slipped on the wet rocks a few times, and my shins were covered in bruises by the time I left. Taiwan is one of the only places in the world where you can go river tracing. The heat and humidity combined with the cool, clean river water makes it the perfect place to try river tracing for the first time. But if you’re looking for an adventure be sure to go with an international company rather than on a Taiwanese tour. Most Taiwanese people can’t swim and are not accustomed to outdoor activities. While your hostel or hotel may try to convince you that the tour is adventurous, the Taiwanese trips pale in comparison to the trek I did with Hualien Outdoors. Trust me, I did both! If you don’t have the money to spend on a guided tour, I’d suggest finding a good river and river tracing yourself. You’ll definitely need to buy some river shoes, and be careful not to hurt yourself, but you should be safe as long as it’s an easy river. “You going Boracay, my friend?” we heard from each taxi driver upon our arrival to the small barangay of Pandan, in the Philippines. “No, we stay here” we replied, and we did mean it. The Philippines are often associated with white sand beaches and pink sunsets, and as much we like these romantic sceneries, there is much more beyond beach life in the Philippines – and you don’t have to travel far to explore a jungle realm. One of many places with thrilling landscape and scenic views is the village of Tuno, near Tibiao municipality in the province of Antique. This tiny place, hidden between lush hills with a wild river nearby, is a gate to an adventurous hiking trail. Within an hour you’ll greet locals, busy with their daily duties, pass the bright green rice fields, cross a few bamboo hanging bridges, listen to outrageously loud cicadas, ascend bamboo stairs and climb a waterfall, where you’ll have a bath in transparent and cool water. If this sounds too easy, then climbing to the summit of Mount Banderahan that towers over the village might bring you more challenging adventures… my friend. Yangshuo, Guilin in China is known for being a tourist trap so we wanted to find something different to do. We asked a few locals what their favorite thing to do was to get away from all things touristy and they all said it was this TV Tower Hike. It is a hidden path between apartment buildings that eventually turn into stone stairs in the mountains. It is quite the climb and with the humidity or rain, you definitely feel like you’re getting your workout! The higher you go, the more impressive the views become (as most hikes do!). 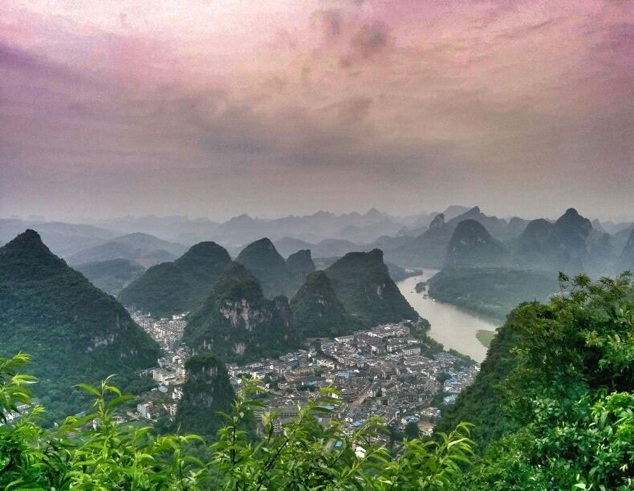 The view becomes this crammed little village encompassed with these karsts mountains and the Li River. It was some of the most amazing views we have seen. Fun fact: there is one guy that lives all the way at the top in this little house, but no one is allowed up there! Hong Kong – more than a city! Those yet to visit will doubtless hold the view that Hong Kong offers little else but urban development. Far from it. On fine days there’s nothing better than to escape endless malls and designer cafés for the peace and fresh air of the countryside. With protected parks occupying 40% of the land, trips to the New Territories or Outlying Islands are favourite; ideal venues for walking, camping or, weather permitting, beach activities. 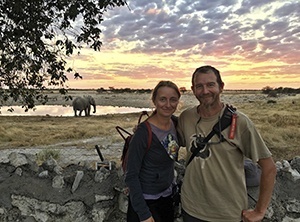 Hiking trails are surprisingly numerous and easily accessible, winding gently through mangrove swamps to rocky outcrops at elevations of up to 1,000 metres. One can still encounter isolated villages, small clusters of traditional, grey brick and scrolled-tile dwellings, the aging inhabitants keen to chat. The flora and fauna are diverse in these parts, barely a few minutes’ walk and one is totally free of humanity to enter macaque inhabited woods, stumble across grazing bovines and, if approaching silently, observe a slumbering salamander by a tumbling stream. Encountering a brace of jet-black baby cobras took me once by surprise; fearful their more venomous parents might soon slither back, I moved on swiftly. Then, one might stumble upon a place where nobody’s ever coming back; eerily deserted villages, barricaded and vacated by people who long ago headed for a life elsewhere, crumbling masonry warmed only by the reclaiming tentacles of nature’s encroaching creepers; only the fung shui rocks and cultivated woods remain, silent sentries from a geomantic world. When thinking about great hiking destinations, Korea isn’t a country that pops into most people’s minds. Which is unfortunate, because of the wealth of great hikes covering all levels of ability. One of the best of those hikes can be found right in the center of the capital city. 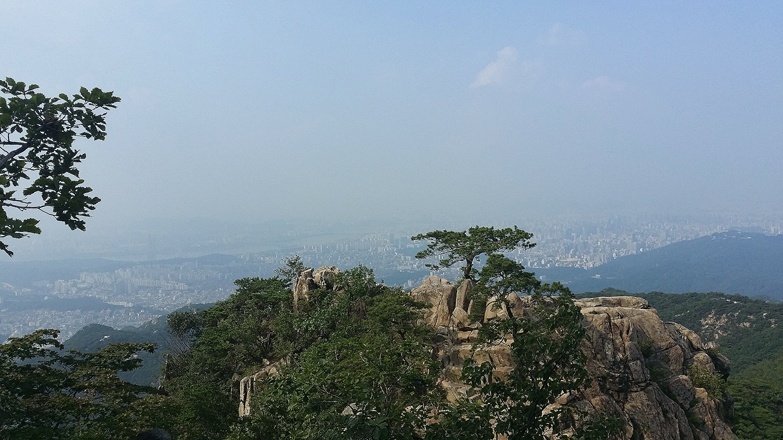 Gwanaksan rises 629 meters overlooking central Seoul and Seoul National University. The mountain offers a wide range of hiking trails and a river that is perfect for picnicking. Unfortunately, as hiking is one of the most popular activities in Korea, you will be hard pressed to find an empty mountain anywhere during peak times. However, there are always less populated trails if you look hard enough. Following the ridge to the radar tower and coming down the northwest side of Gwanaksan are several more advanced trails, at times requiring ropes and chains to help propel you down smooth rock faces over sheer drops. And unlike the easier trails heading up from the main entrance, you will more than likely have this one all to yourself. Don’t forget to pack some soju and kimbap for the summit! Most people who begin an Everest base camp trek would fly into Lukla and continue from there to the top. This is a mistake. When I made this trip I chose the option of the 7-day trek in from Shivalaya, a village that can be reached by a death-defying bus ride from Kathmandu. 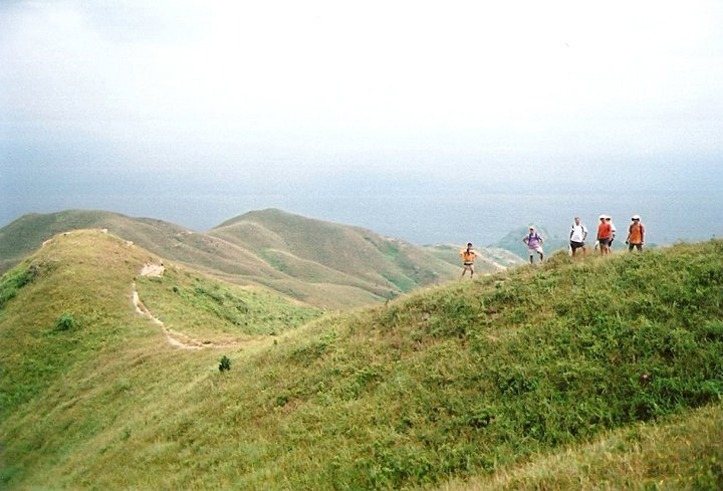 This trek will take you through scenery that can barely be described with words. Lush green valleys with grey-blue rivers will surround you. This trek is not for beginners. Expect 12-hour days of steep hills and jagged rocks. If your fitness is up to par you are rewarded with the beauty that this trail holds. You pass from village to village walking along side Sherpas carrying hundreds of pounds of weight on their backs. When the day is done you spend the night local teahouses. The main trail from Lukla to Everest Base Camp is a well-beaten path. By adding in this extra 7 days at the start you will be away from almost everyone. There was days that I didn’t see another trekker. The guesthouses are friendlier, the prices are lower, the weather is better, and the experience as a whole is more authentic. Add to that the bonus of not having to fly into the world’s most dangerous airport. Literally the Edge of the World! This amazing place deemed “Edge of the World” is part of a natural limestone escarpment which runs 700km from the central Najd region of Saudi Arabia down to the Empty Quarter further south. The Edge of the World, which can be accessed with a 4X4 from the capital Riyadh, is on a part of this escarpment where the edge reaches far out from the plateau itself, creating a kind of peninsula. 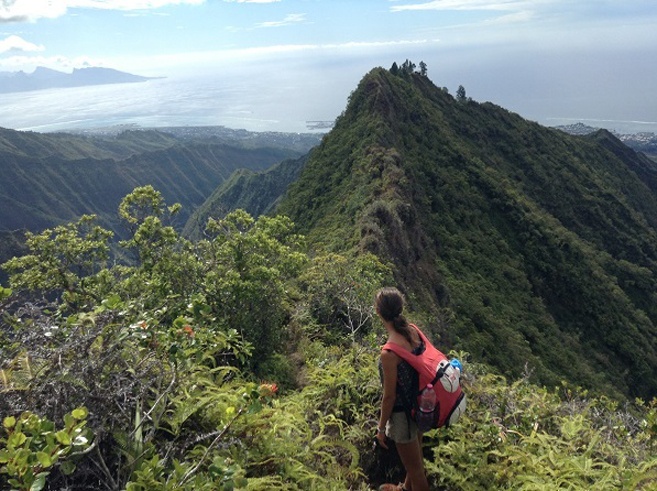 Hiking all the way to this edge is an arduous and dangerous (for one woman even fatal!) task, so great caution is advised. Once you reach the Edge, it really does feel as if standing at the ‘Edge of the World’; there’s literally nothing around you, just a vast empty plain that seemingly goes on for ever and ever on the horizon. The view down is chilling! The ‘Edge’ as locals call it, can be explored from the bottom of the escarpment upwards as well, this hike is only recommended for experienced persons and highly discouraged to attempt the climb during the hot summer months. A trip to the Edge of the World is worth it even for those not planning on doing the actual hike, the scenery from the car park alone is spectacular enough to amaze even the most experienced traveler. Definitely one of the most memorable sunsets you will ever witness! When you think Melbourne, Australia you might not automatically think of hiking! Instead, images of stellar coastline, beautiful beaches and cosmopolitan lifestyles are usually what spring to mind. But take a drive only an hour out of the city and you’ll quickly find that the whole state of Victoria offers some excellent off the beaten track hikes. While a lot of Victoria’s rugged bushland is quite flat, there are some amazing hikes and trails that can be enjoyed by anyone, from the inexperienced weekender to the Bear Grylls type of explorer. 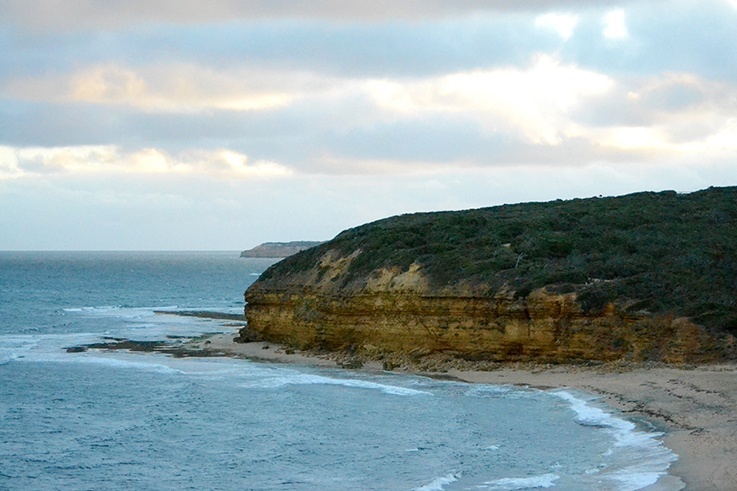 Some of our favorite hikes can be found around an hour southwest of Melbourne along the famous Great Ocean Road, where jagged coastline meets dense bushland. Park at the iconic surf spot Bells Beach and then hit the trail. The coastal tracks wind around the cliffs, climbing up and down as they follow the beach coves. Along the way keep your eyes peeled for native Australian wildlife like kangaroos, echidnas and wombats that call the bush home. But don’t deviate off the track too much, especially in summer, that’s when we get snakes! If you’re really up for an adventure pack your tent and head off for a few days. There are plenty of spots to camp along the way and the kangaroos love the company! You probably won’t believe me, but outback Australia is a hiker’s dream. I know… You thought outback Australia was dry, flat, red dirt desert. Not only is the outback home to some of the highest mountains in Australia, it’s full of high quality, world class hikes. I’m going to share two with you. The Kings Canyon Rim Walk is one of the outback’s most famous short walks. It’s home to some of the best-remembered scenes from the movie, Priscilla, Queen of the Desert. This 6km/3.7mi walk takes you though stunning ‘beehive’ domes, sheer canyon rock walls and a hidden oasis called ’The Garden of Eden’. You’ll need at least 3 hours to do the walk, a hat and at least 2 litres of water. Stretching for 223km/138mi from the outback’s capital, Alice Springs west to Mt Sonder, the Larapinta Trail can be done as a classic thru-hike, as a section hike (12 sections), or as any number of shorter walks. 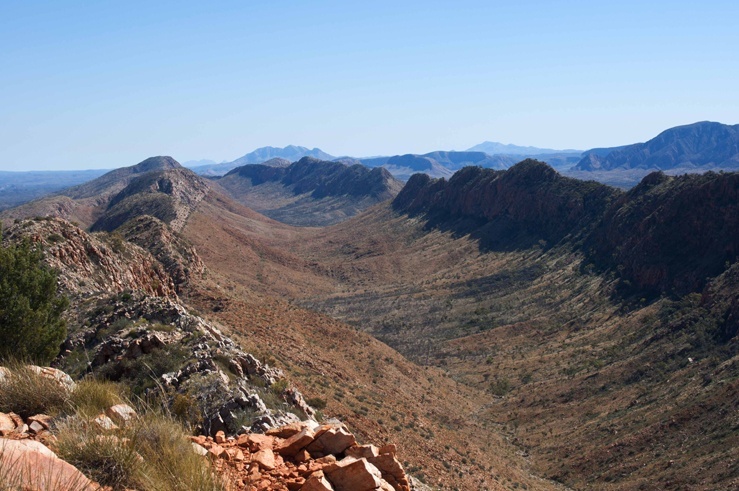 The trail takes you through sites sacred to the Arrernte people, and will wow you with constantly changing mountains, waterholes, gorges and vantage points. New Zealand is very popular with hikers, a firm favorite on their bucket lists and for good reason. The country has an incredibly beautiful and diverse landscape like nowhere else. 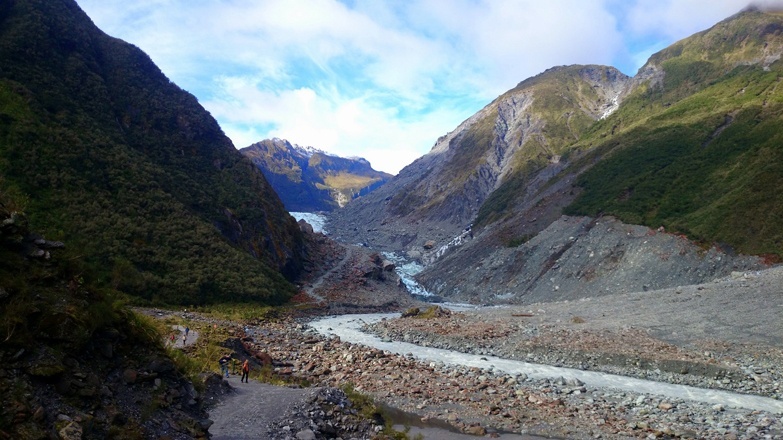 The Westland Tai Poutini National Park in Glacier Country is home to Franz Josef and Fox Glaciers. While Franz Josef gets much of the attention of tourists, due to its superior amenities and fancier accommodation options, Fox Glacier Village remains true to its name with limited accommodation and a handful of restaurants. Drawn to its quieter feel, we spent a few days in the village exploring the area around Fox Glacier. With our Guided Glacier Walking tour being cancelled due to unfavorable weather, we decided to do the Fox Glacier Valley Walk. Our friendly driver Murray suggested that we save a few bucks and hike by ourselves to the terminal face of the glacier. He dropped us off at the car park, about 3.5km from Fox Village. From here, it took about 45 minutes to reach the terminal face, walking at a moderate pace. The path was well-marked with certain areas to be avoided roped off. Rock fall, icefall and sudden glacial river surges are common with weather conditions changing rapidly and all instructions and warning signs must be adhered to seriously. The terrain was rocky with occasional glacial streams to cross over; waterproof hiking boots are highly recommended. The path over glacial moraines (piles of rock that were accumulated as the glacier descended rapidly) wound through the valley to the terminal face from where we could see the snout of the glacier and the Fox River gushing beneath the ice. A barrier prevented access to the terminal face as the river can quickly rise by a few meters without warning, but the view of the glacier was remarkable nonetheless. Mount Aorai is the second highest peak on the island, very close to Papeete, the capital. Although a trail is leading from Belvedere to the top of Mount Aorai, only experienced and well prepared hikers should consider getting there: the one-way-distance is more than 10 km, more than 1400m in height have to be overcome, and the ridges are knife sharp so that a slip might result in a several hundred meter deep deadly fall. It starts at Le Belvedere and climbs the ridge to Fare Mato (hut), 1600m. From there, the route continues up the ridge and climbs some steep cliffs by way of fixed ropes before reaching the second hut of Fare Ata (1800m). The trail then follows the knife edge ridge to the summit, which is above the tree line, but the route is steep and slippery especially if it rains and I have the feeling that it always rains on the top. Asking for directions in the outskirts of Papeete, a French girl gave us a ride to Le Belvedere restaurant which saved us a lot of hassle since there is no transport there, and it´s around 10 km. Basically until the first hut it all is normal, but after that gets so steep and narrow that is more like rock climbing than hiking. My friend and I both hike pretty fast and made it to the second hut in the afternoon just to get ready for the night. No one else was sleeping in the hut. There are no beds or other comforts but sometimes is good enough just to have a roof above your head. It gets pretty cold at night. At least there is a water tank so you can fill up your bottle. There was one at the first hut too (some local kids were staying there for a few nights). In the morning we made it to the top, it´s around an hour hike from the hut, still intense and slippery, using the ropes…but once we got there it was all worth it! The view of the mountains, the ocean and the neighbouring island Moorea are just breathtaking. I knew that my muscles were going to hurt me for days after the hikes but all I could feel on the way back to town, was pure happiness! Squeals and squeaks permeated the air. Brown, fuzzy balls darted by. I stood in the crisp air surrounded by dozens of Gelada baboons. They were oblivious to me; either grooming, eating, or playing. I was on the “roof of Africa” otherwise known as the Simien Mountains in Ethiopia. The Simien Mountains are an UNESCO world heritage site that covers 412 square km. The highest peak, Ras Dejen, rises to 4533 meters. I was in the midst of a three day trek. The mountains contain fabulous and unique wildlife. The Gelada baboons are unique to this region. Approximately, 2500 Geladas make their home in the park. Walia Ibex are also found in the park, numbering around 500. The views during my trek were majestic. Multitudes of peaks receded into the horizon. Most of the trekking took place around 3500 meters. 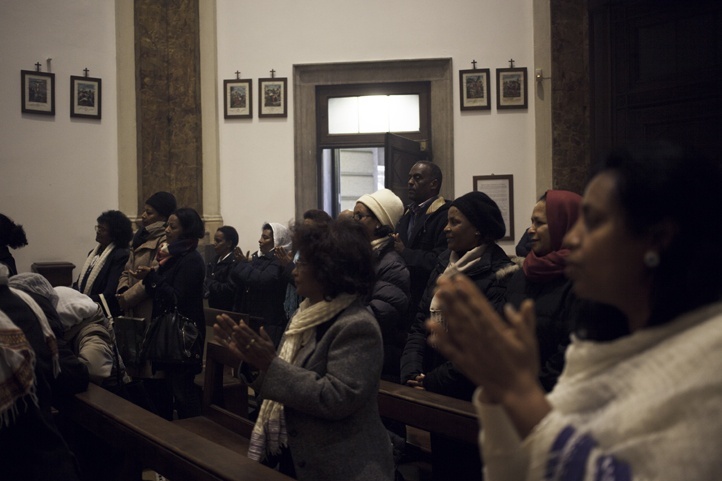 The launching point for the Simien Mountains is a former capital of Ethiopia, Gondar. Gondar can be reached via Addis Ababa with a quick flight or a long, uncomfortable bus ride. After reaching Gondar, you need to go the park office in Debark, a two hour drive from Gondar. At minimum, you need to hire a Scout to accompany you for your trek. Your posse can quickly grow with the additions of a guide, cook, assistant cook, driver, and even donkeys. You may arrange your crew at the park office (cheaper) or arrange with a tour guide beforehand (more expensive). When people think of the US, at first they might not think of the state of Kentucky. Nearly in the center of the country, Kentucky has fantastic nature and hiking. Possibly the best little-known hiking spot is the Red River Gorge inside the Daniel Boone National Forest. Nestled in the heart of the state, it boasts massive cliffs with views over Kentucky’s famous rolling hills. The area is most well known for its impressive rock arch formations on many of the trails, and also serves as a geological site. The first known visitors of “The Gorge”, as it’s affectionately called in Kentucky, settled in the area over 13,000 years ago, and some hiking trails even take you past archeological sites. You’ll also be taken deep into the Kentucky forest where a green, lush and full canopy in the summer transforms into a stunning mix of red, yellow, and orange in the fall. The best part of The Gorge? You can always find a spot to be alone. With over 12,000 acres of land and 39 marked hiking trails, there is plenty of space to find your own little spot here. If you’ve ever wanted to feel like a true explorer, you’ll love this rugged hike through the lush jungles of Colombia. On your five-day journey, you’ll hike across a variety of terrain, including jungle trails and across rivers. You’ll sleep in hammocks and sweat more than you ever have before. You’ll take breaks to snack on fresh fruit and swim in crystal clear water. 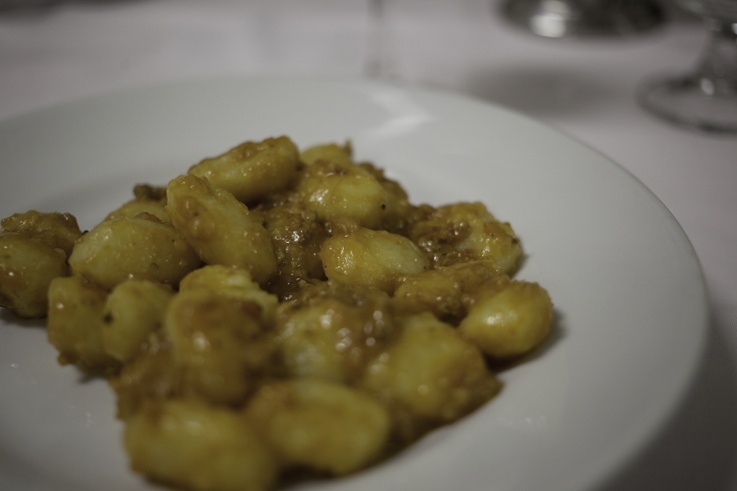 You’ll bond with your Colombian guides and fellow hikers by sharing meals and comparing mosquito bites. I’ve hiked in many different places all over the world, but one of the best hikes I’ve ever done was Ricketts Glen State Park in the US state of Pennsylvania. Located in northeast Pennsylvania, Ricketts Glen State Park is known for one thing: waterfalls. And, boy, do they have a lot of them. In the park itself, there are 23 named waterfalls, ranging in height from 9-feet tall to the 94-foot tall Ganoga Falls. Simply put, the waterfalls of Ricketts Glen are spectacular. What makes this park even more special is the 7-mile hike known as the Falls Trail. This somewhat difficult trail leads hikers past 21 of the 23 waterfalls in the park. One waterfall gives way to another with little separation between the falls. This magical scene of cascading water is sure to delight anyone. Even better, the area around the falls is full of towering trees never touched by loggers, a rarity in this part of the US. This makes the natural scenery around the falls almost as impressive as the falls themselves. If you love waterfalls as much as I do, don’t miss the Falls Trail in Pennsylvania’s Ricketts Glen State Park. High up in the Western Highlands of Guatemala, 3 hours north of Quetzaltenango by crazy chicken bus ride, you arrive at ‘Volcan Tajumulco’ (Tahumoolco). She’s an impressive beast – and worthy of every bit of the slog to reach her spectacular peak, at 4,222m (13,851ft). She’s tough one, a two day grind! The first day; you climb 1,200m – up through farmland, alpine meadows, sparse pines, and into the misty cloud forest. Finally, you reach the saddle at 4,000m, and setup camp – it’s bitterly cold, even with your fire. Then, two hours before daybreak… you start scrambling up the final 200m climb. She’s steep, rocky and slippery – but you want to summit just before the sun rises. Tajumulco’s majestic Volcano neighbours are bowing to you – a conqueror of the toughest amongst them. Follow Jo and Des on Facebook and read the complete post about this hike here! There a several very well-known ways to travel to Machu Picchu; the Inca Trail ($600p/p); Salcantay Trek ($225US p/p); and the Inca Jungle Adventure Trek ($225US) are just a few of the options available for the more adventurous backpacker. These and a few others are no doubt awesome experiences, but what if you’re looking for something cheaper? And I mean a lot cheaper! What is we told you that it’s possible to visit one of the worlds’ most famous UNESCO World Heritage sites whilst spending as little as $70 USD, including all of your transport and accommodation? Here’s how you do it. Take a 10 Soles combi (minibus) from Cusco to Ollantaytambo, where you then change onto the Veronica Combi to the Km 82 train station for just 2 soles. Here you start your real journey. Walk following the train tracks with the valley on your left until you see your first set of Inca Ruins on your right hand side. Shortly after that, on your right hand side, you’ll see a small trail winding up onto the side of the valley. There are many of these ‘goat tracks’ along the journey that help to keep you off the tracks and avoid most of the tunnels. Starting high up in the Andean mountains and flowing down through the magnificent Sacred Valley you will experience every vista you can imagine, from dry, rocky mountain landscapes with fast flowing white water in the valley below, to the luscious vegetation of the highland jungle. From anywhere in town it’s a short walk to base of the mountain and the start of the steep, winding stone steps up to Machu Picchu. It may be far and it can take over an hour to reach the top, but the breath-taking scenery will make you glad you didn’t take the bus.  Total – $68.80 USD! Great collection of hikes! I’ve been following Alex’s series of his Everest base camp hike…definitely an adventure! Neat to see Seoul up there- as Taylor says, it’s not really a destination I would think of trekking. Thanks Hannah! This list has given me so many ideas for future trips… I would love to do all of these hikes! Merry Christmas! Same here Jenna… Looks really special! Merry Christmas to you dear! so many great hikes here! I’d love to do the one in Saudi Arabia – ever since I stayed so many hours at Jeddah airport at the stopover I’m intrigued by the country! I want to go there too… Looks like an amazing country! Let’s plan a trip after Iran! Hope so Antonette… I really want to do that hike too now! Merry christmas and happy birthday my dear! Such a great list! We did the Larapinta back in 2012 and OMG it was difficult! One of the hardest hikes I’ve done in my life, but the scenery was so amazing! 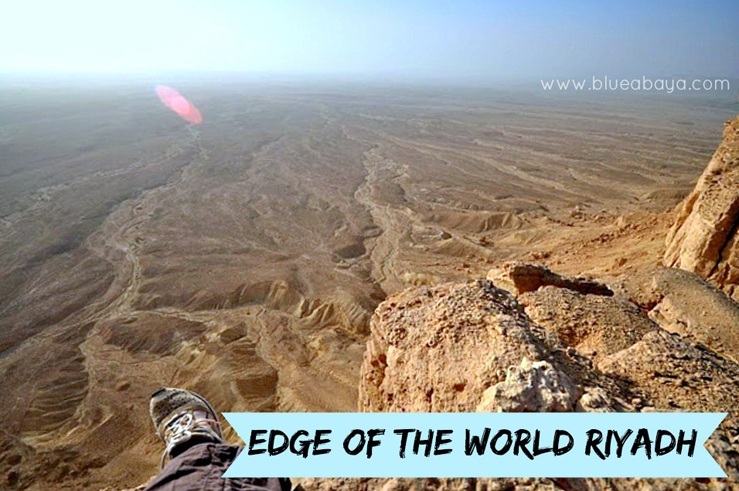 I would love to get to the edge of the world in Saudi Arabia – will be adding that hike to my bucket list! Thanks for the inspiration! Very interesting post. Thank You. We love to hike beyond the Arctic Circle! Autumn is the best time to hike due to its fantastic colorful nature. I’d love to go beyond the Arctic circle. Sounds like a dream!